In my last post I talked about hot and cold cognition. In this post I am going to talk about slow cognition, aging, weight lifting and the getting of wisdom. 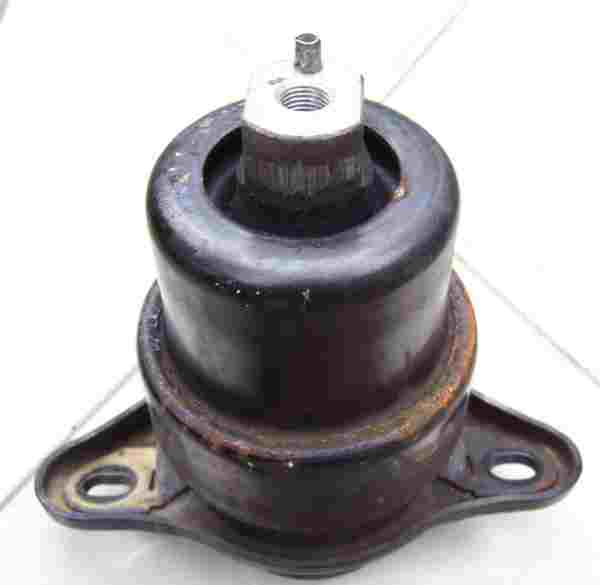 It is held at the bottom by three 14 mm nuts. Check that, two 14mm and one 15mm nut. Not mine to reason why, Toyota no doubt has some obscure reason. The two 14mm bolts came out just fine and my luck was in because I hadn’t even managed to lose my nice, strong, high quality 15mm half inch drive socket. So I got my Snap-On (read Rolls Royce of tools) breaker bar (read very big lever) and connected it to my 15mm socket. Since the nut is way down in the bottom of the engine compartment and I couldn’t get the socket onto it straight I had to use a universal joint that would allow me to put the socket on to the nut and still apply a powerful turn to it. Well, rather like the big bad wolf at the third little piggy’s house, I huffed and I puffed – and nothing happened. I experimented with my stance and various placements of the breaker bar. And I huffed and I puffed and, again, nothing happened. I am not young any more but I have been lifting weights and I was starting to have flashbacks of particularly tough nuts I managed to crack from when I was half my age. So I took a break and thought it over. Made a cup of tea and went and got a pair of leather work gloves from the shed. The gloves seemed to help me turn harder without hurting my hands. But still no result. The adrenaline was flowing by now and I let it lose a bit so that I turned harder than was entirely prudent. Nothing. I walked away wondering what I would end up paying a mechanic to put a torch on it to loosen it. I tried again with that kind of cold, determined anger that is sometimes more powerful that one realizes and…. BANG..the wrench let go. I checked it out. I’d broken the universal joint. No biggie. I have two and the broken one was obviously a cheap one. I checked the broken parts and found no name on it and looked at the other one and sure enough it was a Craftsman – Sears good line of tools that carry a lifetime guarantee. Not Snap-On, but good. So I put the good universal joint onto the set up and give it another go. No luck. See those three spots? They are welds. It was never meant to be turned. You are supposed to just unscrew the bolt from the other side. Toyota had tried to communicate. They painted it black. They made it a different size. They even made it so a socket wouldn’t go onto it straight. 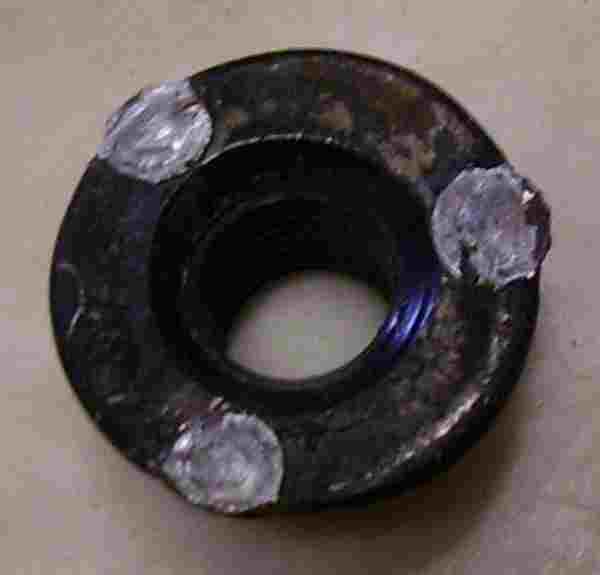 Then I picked up the replacement part and, sure enough, it had the nut welded on to one of the three holes. I hadn’t even looked, nor – luckily – had I done any harm – just wasted a couple of hours. And discovered that age does not necessarily bring wisdom, nor if you take the trouble to lift weights, loss of strength.